Anyone who has worked in search engine optimization (SEO) knows that 'link building' was one of the key methods of improving rankings for Web sites and publisher's content. As Google's algorithm awarded sites for this practice, sites found more ways to game the system. Today, no matter what side of the privacy issue you favor, Facebook's LIKE buttons are usurping Google's prominence in this space and are gaining more trust than search results. In my previous post, "Social Media Morphs Into Semantic Web As Peoplelinks Replace Hyperlinks," I sited social media guru Brian Solis' report that "peoplelinks" derived from clicking on LIKE buttons across the Web are building a fabric of personalized marketing based on the "choice words and sentiments shared by like-minded groups and influential people online." Bruce ClayEven search industry vet Bruce Clay whose company has spent the last year offering SEO services for Web sites and content providers believes that "Likes are the new links." According to an interview he conducted with WebProNews, Clay sees LIKES as new 'go-to' source for reliable discoverability and the focus of 'quantity of links' versus 'quality' has blinded a lot of folks into building an ecosystem of links that is biased. 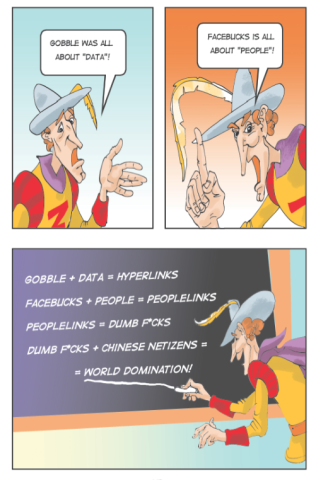 In the first graphic novel about Facebook, "Facebucks and Dumb F*cks" shows how Mark Zuckerberg (aka Z-Man) reaches this epiphany when he instructs kidd millennium in how he will overtake Gobble (aka Google) using 'peoplelinks' versus Google's outdated hyperlinks. But just as easily as marketers learned to 'work' the Google search algorithms to their advantage, will they do the same with Facebook's LIKES. Instead of "Link Farms," might Facebook users start building "LIKE Farms" and engage in the practice of actually buying LIKES. According to an AllFacebook post, this activity already exists and Nick O'Neill cites several instances where this is happening. "Like farms are spamming Facebook with random quotes and phrases (e.g., LikeBunny, and LikeItPage) and will continue to proliferate until Facebook develops a system that determines which add value and which are just spam generators." In May, Mashable's CEO Pete Cashmore pointed out that if "LIKES" surpass links as a way for one site to recommend content on another, than effectively Facebook will 'own' the Web." So whether you categorize LIKES as 'social links' or 'peoplelinks,' the Open Graph appears to be gaining traction over Google's old school SERPs (search engine result pages). Since LIKES can be tied back to a specific user, searchers of content can now determine whether a link is vetted by people they follow and trust. However since Google and Facebook are rivals, and 'don't play nice together,' it would take a lot for Google to gain access to Facebook's social graph data to incorporate into their ranking algorithm. According to Clay, he thinks that "we're going to see that LIKES and referrals and recommendations (will cause) a general shift towards 'quality' of sites (not quantity)," and that Google's methodology will lose out to Facebook. What do you think, readers? Is Facebook's optimization the new SEO of the next decade? 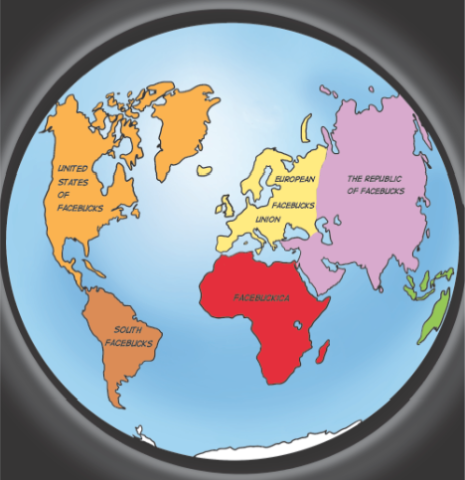 And will the world look something like this in years to come? Hot Dog? Chill Your Collie with a Cool Pet Pad! Google is a search engine - Facebook is a ????? FaceBook is not a search engine. It may border on the appearance of a information source. But it is FAR removed from the function of a search engine and they will never own the web. Our culture is moving at the speed of light towards social everything. True! But social has it's limits and place just the same as everything in the universe does. Sure,..one can find conversation about anything on Facebook. But that doesn't make them a search/information source. For Facebook to become the web, the collective mind set of our culture would need to evolve into that frame of mind in regards to their choice for information. 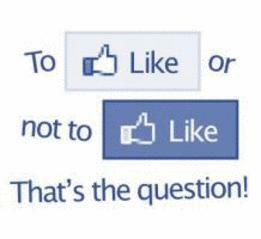 Our culture at this time doesn't want to use Facebook nor any other social platform for their information source. They want to use it for communicating and not for searching. If anything is going to become the web it will be mobile devises and local search uses of those with the option to apply an app for www search from those devises. Google is going to use as many social signals as they can to help determine the authority of a given site. The percentage of the use of those signals in their algorithm will be small at best and no one will ever know that percentage. One thing's for sure. It won't be such a large percentage that Facebook will make or brake Google nor will Facebook ever take over the web because of that percentage. All told,....Facebook - is - Facebook & Google - is - Google. And at this time Links - are - Links & Likes - are - Likes. There is some interplay as far as SEO and SERP's and Relevancy goes. But that is as far as it goes.